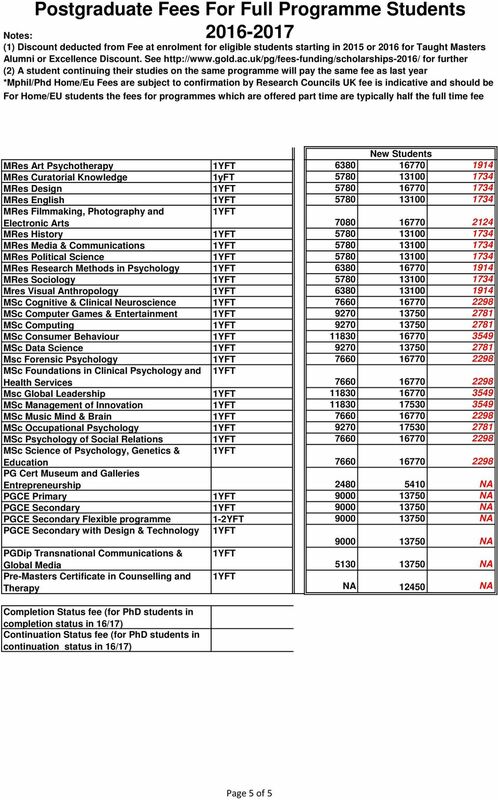 Download "Postgraduate Fees For Full Programme Students 2016-2017"
Tuition Fees for Postgraduate Taught Courses 2015/16 NB. 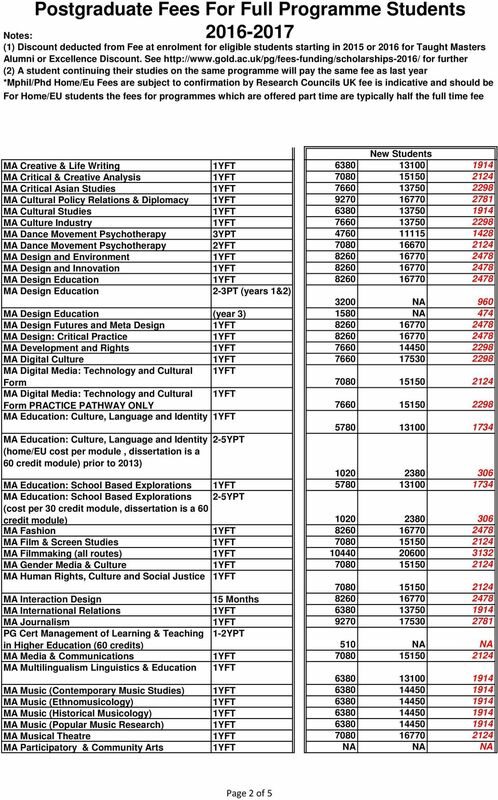 Tuition Fees for Postgraduate Taught Courses 2014/15 NB. 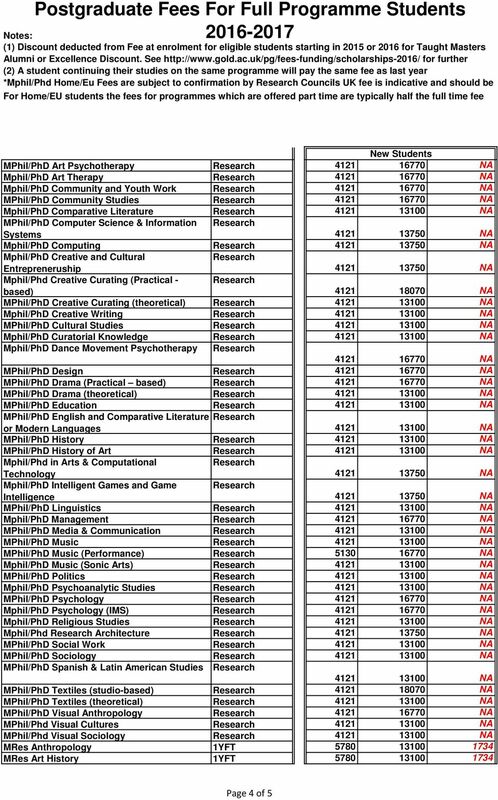 BC Degree Degrees approved between 1996 and 2003 are listed below by institution. 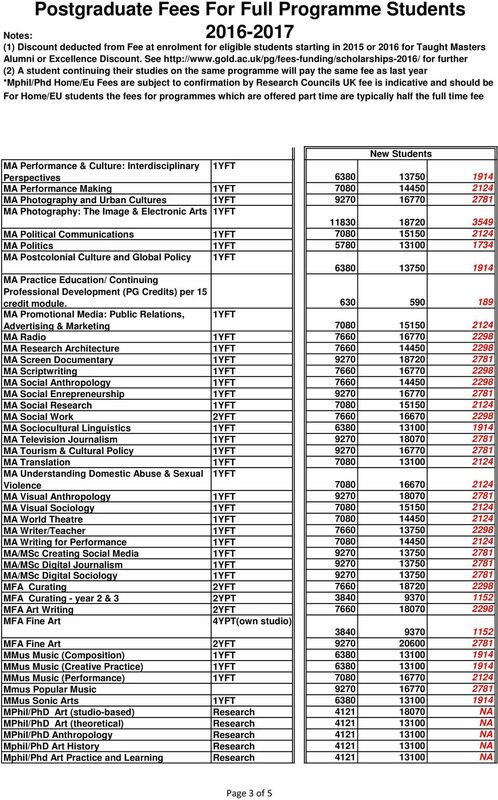 Please visit the institution's website for information or refer to the Education Planner for degree programs prior to 1996. 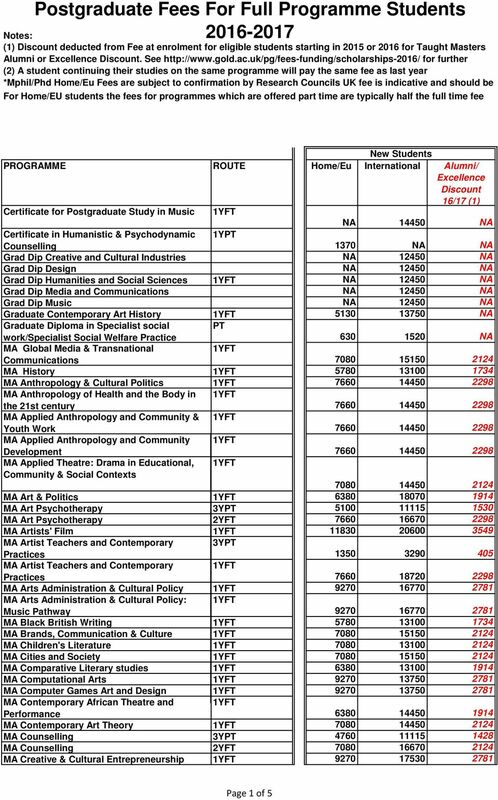 2nd Cycle Master Study Programme Arts Therapy The post-graduate master study programme of ArtsTherapy is based on the existent specialist programme; the prior undergraduate study programme thereof is non-existent. Career Clusters & Pathways. Focusing Education on the Future!